Both pre- and post-show events now surround the WCM conference in early March, plus there are now additional warranty events to consider attending in February and June. One gets the feeling that business travel is back in style for 2006. That tentative feeling people seemed to have about taking a flight in 2004 and 2005 is now gone. Once again, people expect every Consumer Electronics Show to be bigger than the last, with longer lines, louder noises, and brighter lights than ever before. While the warranty industry will never get 150,000 people to go to Las Vegas, we are likely to top the attendance records set last winter by the Warranty Chain Management show in San Francisco and broken a few months later by the Automotive Industry Action Group's Early Warning Standards Conference in Detroit. In fact, the whole purpose of this article is to let warranty professionals know that there are now real good reasons to arrive early and stay late, specifically to plan an arrival in Las Vegas on the morning of Feb. 28 and to delay their departures until the evening of March 2. The AIAG has now announced a special half-day pre-conference meeting for the afternoon of the 28th, and an informal group of warranty metrics and benchmarking professionals has tentatively scheduled an event for the early evening hours of March 2. Reasons to travel for warranty are breaking out all over. A week before the WCM conference opens in Las Vegas, the Manufacturing Insights unit of the International Data Corp. plans to convene the first face-to-face meeting of its Warranty & Quality Management Forum in Chicago on Feb. 22. Then three months after the conclusion of the WCM, the AIAG plans to hold its second annual Early Warning Standards Warranty Conference in the Detroit suburb of Novi, Michigan. Alison Griffiths, the executive director of the WCM 2006 Conference and the dervish at the center of the warranty whirlwind, said registrations to date are already far ahead of where they were at this point last year. Back in late 2004 she told Warranty Week she'd be happy to get a hundred people to attend WCM in March 2005. She ended up with 220, with several more actually turned away for lack of space. This year, she has selected the Excalibur Hotel and Casino in Las Vegas as the venue, and is planning an event she hopes will be nearly twice as big as 2005. Last week, Griffiths told Warranty Week she had 120 already signed up, but over the weekend she said another 40 registered to beat the Early Bird deadline. With less than two months to go, "I am cautiously optimistic that I may reach my dream target of 350," she said. "I'm absolutely overjoyed with the response this year." Griffiths said that based upon the feedback she received at last year's conference, Las Vegas was by far the most popular choice of location for 2006. But there is, of course, always the suspicion that the city itself is the attraction, given its reputation as an adult playground where "what happens in Vegas stays in Vegas." In fact, this lingering reputation is part of the reason the AIAG is planning a half-day pre-conference show. Even though business travel has now completed its comeback, it's still difficult to be taken seriously when you ask for authorization to go to Vegas during the winter "to work." The allure of the nightlife, in fact, also caused Griffiths to alter her planning for WCM 2006. "The distractions of the city were a major consideration," she said. That's why there won't be a formal conference dinner this year. She said the nightlife possibilities in San Francisco's Fisherman's Wharf were enough to draw away numerous attendees from last year's dinner. So in Las Vegas, with the bright lights of the Strip right outside, she felt it would be even harder to keep them in the hotel at night. Instead, she's programmed in a two-hour cocktail and networking event for 4:45 to 6:45pm on March 1 that people can drop into on their way out for the evening. During the conference itself, Griffiths said there are going to be ten panel discussions featuring 46 speakers, including two keynote presentations, a panel of auto warranty experts, and a panel of extended warranty experts. But unlike last year, there will be only one or at most two tracks happening at any given time. "There's a reduction in the parallel running tracks because the attendees felt that they couldn't actually get to see all the speakers they wanted to, particularly if there were three tracks offered," Griffiths said. "So we've kept it to two this year." There also has been a significant increase in sponsors and exhibitors this year. The list of sponsors now includes SAS Institute, ProQuest Business Solutions, IBM, 4CS, ServiceBench, and Tavant Technologies. Exhibitors include those six companies plus Attensity, ClearForest, NEW Customer Service Companies, ServicePower, PolyVista, Sony DADC, and MediaKube. "We're working on the floor plans now," Griffiths said, "and finalizing the details with the Excalibur. But basically, I'm anticipating there will be 4,000 square feet dedicated to exhibitor space and the networking events." Breakfast and lunch also will be served in that area, she added. "So it really gives attendees a good opportunity to learn from the exhibitors, and to see what sort of warranty tools and solutions are out there and available to them." Those planning to attend the WCM meeting on March 1st and 2nd might want to consider arriving in Las Vegas by midday on February 28th in order to attend a pre-show conference centered around automotive warranty. Marianne Grant, the director and industry subject matter expert of ProQuest Business Solutions, told Warranty Week that the AIAG is planning to rent a meeting room on Tuesday, February 28, from 1:30 to 5pm at the Monte Carlo Resort and Casino. The hotel is only a short distance down Las Vegas Blvd. from the Excalibur, with just the New York-New York Hotel & Casino in between them. "We are planning a three-and-a-half hour pre-conference," she said, "which will be aimed specifically at an audience in the automotive industry. It will be about warranty, but specifically for an automotive constituency." That's not to say that other's won't be interested. But the program is designed to provide auto-specific content to supplement the more general and cross-industry topics scheduled for the main conference. People interested in attending the half-day pre-show conference should contact Tami Rozovics of the AIAG at trozovics@aiag.org by email or call customer service at +1 (248) 358-3003 by phone. The registration fee should be minimal, Grant said -- in the neighborhood of $29 per head -- with a goal of simply defraying the cost of renting the room. Grant also will be busy during the main WCM conference. On the morning of the first day, she chairs a panel that will provide an update on the AIAG's Early Warning Standards initiative. On the second day, she chairs a conference-closing interactive panel discussion on extended warranties. A few months later, on June 6, AIAG plans to host its second annual Early Warning Standards Warranty Conference. Last year's event drew more than 300 people to a suburban Detroit banquet hall for an intensive all-day discussion about automotive warranty. This year's event may be even bigger, given that it's been scheduled to coincide with the Quality Expo Conference. 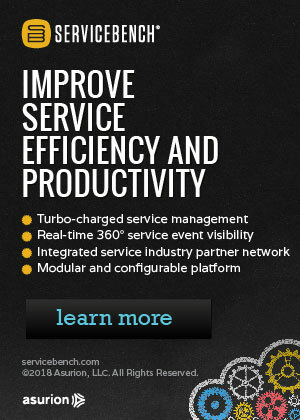 Grant said the time is right for bigger and better warranty-related events. "I think our expectation from last year and also from other industry conferences such as the OESA conference that happened just a few weeks ago is that the level of interest in the area of warranty and early warning is extremely high," Grant said. "But also, I think people are looking for real things that they can do. Don't just tell me the theory. Tell me how to do this and what specific actions I can take in my environment." Grant said she thinks the warranty work the AIAG is doing, while it deals first and foremost with vehicle warranties, will eventually have relevance in other industries as well. That's one of the reasons she said it's so important to get the automotive warranty people to Las Vegas: so they can exchange best practices with their peers in other industries. In fact, the AIAG's goal in putting together a half-day pre-show conference centered around auto warranty is to help the auto people cost-justify the trip to Las Vegas, in case there wasn't already enough auto-specific programming scheduled during the main two days. Next year, Grant said she hopes that some sort of AIAG track can be merged into the main conference itself. But she said she's worried that if a future conference relies too heavily upon auto-specific or appliance-specific warranty tracks, that people will inevitably miss something important. For instance, last year's conference included a panel discussion on warranty fraud, during which executives in the computer and appliance repair businesses found they had much in common. How would such a cross-pollination ever take place if people were programmed into industry-specific vertical tracks? Grant suggested that instead of grouping discussions based upon the type of product manufactured, that planners look for ways to group them based on other similarities. For instance, perhaps there's a need for a cross-industry panel on warranty for manufacturers who rely upon distributors? Or perhaps there's a future warranty panel on issues surrounding the use of third-party administrators or authorized service centers? "Maybe that's the kind of discussion we can all have after this conference, about the best way to take this forward into next year," she said. Meanwhile, another group of warranty professionals is providing WCM attendees with a good reason to delay their departure from Las Vegas. Tom Bellinger of IBM and Tom Washburn of HP are among the founding members of an informal warranty metrics and benchmarking group who are looking to convene another meeting during this year's WCM conference. Last year the group was formed during a special breakfast held on the morning of the second day. This year, the group is looking to do something during the evening of the second day. Over the past year Bellinger, Washburn and their colleagues have hosted six or seven teleconferences, during which members were polled about the methodologies they use to measure warranty expenses. Representation has been heavy from the computer, data communications and data storage industries, with additional member interest coming from the appliance, exercise equipment, extended warranty, and public transportation sectors. This year from 9:50 to 10:10am on the second day of the WCM conference, Bellinger is scheduled to provide a full update on the group's activities and a roadmap for the year ahead. Then later that evening, after the formal conference adjourns at 4:30pm, the group is planning to hold its second annual face-to-face meeting. Bellinger said the specific location and meeting time will be announced closer to the time of the conference. He added that new members will be welcome to join at that time. Those who plan to attend this meeting therefore might want to consider leaving town either on a "red-eye" flight or perhaps even extending their stay until Friday. 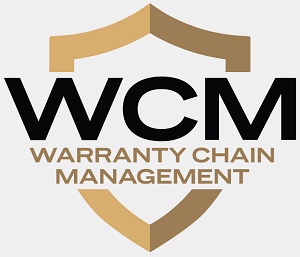 Sharp-eyed readers may already have spotted a new display ad in the right-hand column of this newsletter, inviting readers to attend a Warranty & Quality Management Forum in Chicago during the week before the WCM. Joe Barkai, program director, product lifecycle strategies at Manufacturing Insights, said he and his colleagues wanted to convene their own face-to-face warranty event in the weeks leading up to the WCM, so that he can then report the results of it at the WCM during his time slot just before Tom Bellinger's. "What I think is unique about what we're trying to do here has two dimensions," Barkai told Warranty Week. "First, it really targets executives in the companies, and not only executives that have direct responsibility for warranty, but also others that have interests in warranty, in that warranty affects their business. So in theory, it could very well be CIOs, CFOs, and COOs. And second, it's much more about the business and the best practices and much less about the day to day operations and the transactional nature of warranty." Invitations will be extended to executives in a wide cross section of industries, including auto, computers, aerospace, telecom equipment, and consumer electronics. "We are actually interested in seeing all of them, because we believe the value is in cross-industry best practices," Barkai said. For instance, executives from a computer company might benefit from talking to a farm equipment manufacturer, just as a telecom switch maker might learn a few things from an automaker. He said the half-day conference is open to just manufacturing companies, and not to people representing warranty software tools, consulting, or service vendors. "It's not going to be a selling opportunity for IT vendors," he said. "It's going to be a forum for executives to exchange views, opinions, and best practices." And, unfortunately for Warranty Week and its readers, it will not be open to the press. Barkai said that during some of the conference calls preceding and leading up to this meeting, executives frequently find they are facing similar warranty issues, even though the products their companies manufacture are very different. "And many of them are not pure technology, nor are they pure business issues," he said. "We're finding that a lot of it has to do with processes and culture, and business process re-engineering." "We wanted to do something pretty soon," Barkai said regarding the scheduling. And since the group usually depends on the kindness of one of its members to step up and be the host, what was available in the next month or two was necessarily going to be held in either Chicago or Denver. The membership chose Chicago, because for many of them, it's only an hour or two of flight time. It's also in a time zone where it's possible for many to stay for the post-conference dinner and still make it home for the night. Barkai said the hope is for this forum to convene quarterly by teleconference and annually in person. They've already met by teleconference but this will be their first meeting face to face. "In between those quarterly meetings, there will be some work in terms of surveys, benchmarking, best practices -- anything the membership wants to engage in," he added. "And obviously it's going to be an opportunity for peer-to-peer networking." As its name implies, the conference will address the twin topics of quality and warranty. But it will likely appeal only to companies that have an interest in both. In other words, manufacturers of quality products that don't typically feature warranties -- food, clothing, petrochemicals, pharmaceuticals, etc. -- won't get as much out of the conference. "I would not refuse anyone, but I think it's a bit of a stretch," Barkai said, to think the maker of hamburger patties could discuss best practices with somebody who makes cars. "The business drivers I think are more around warrantable products, and more on discrete manufacturing than process. So hamburgers tend to be more process manufacturing. But I would not exclude them long term, because there is a very strong connection between warranty and quality. Warranty should not be an end. It should be a means to manage quality. And in this regard, a customer complaint is a customer complaint, whether it's about a warrantable product or an edible product." Hyundai Motor America replaces CEO and lengthy warranty pioneer Bob Cosmai with a Korean executive. Failure of PrimeGuard Insurance Co. RRG is one of only nine property and casualty insurance company failures in 2005, Weiss Ratings says. Fulcrum Analytics Inc. hires Paul Swenson as president of Fulcrum Warranty Solutions unit. 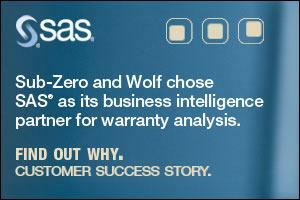 A data warehouse is the only way to integrate data from suppliers, distributors, and repair companies to actively steer warranty and quality. Business intelligence systems produce better information but don't change business processes. Channel partners in India want warranties to start on end use purchase date, not the date of shipment to them. How to decide whether extended warranties make sense. "Il Dente del Gigante," the Winter Olympics monument made by GE Plastics, comes with a 10-year warranty. Kramer Electronics Ltd. lengthens warranty to seven years on its full line of audio, video and computer graphics signal processing equipment. Data CDs may last only two to five years, and their warranties cover disk replacements only, not the data on them. Kubota Tractor Corp. says it is very pleased with its rollout of the 4CS iWarranty System. Horicultural Asset Management Inc. to offer extended warranties on plants sold to wholesale nurseries. Cobra Powersports lengthens warranty on 2006 TGB 49cc and 151cc scooters to two years with unlimited miles. Online buyer beware: woman buys 1SourceAutoWarranty policy in November and finds out they're defunct in December. Morgan Stanley says extra warranty costs are weighing down Novellus' profit. KYE Corp. lengthens warranty on Genius keyboard and mouse products from one year to three years in India. Web site tells how to make a Verizon mobile phone play MP3s, but doing so may void the warranty. Washington SmartCEO magazine adds ServiceBench Inc. to its Future 50 list of fastest-growing regional companies. Service is hard to find after the warranty expires, making many high-tech items frustratingly disposable. The 2006 International Consumer Electronics Show draws 150,000 to Las Vegas, setting a new record. East Grand Rapids Police trace stolen iPod back to owner through extended warranty. Circuit City reports December sales up 12.1% to $1.98 billion. Whirlpool and General Electric cut back on appliance warranties, making extended warranties more attractive. As more drivers choose to lease cars, courts are expanding federal warranties. Australian Competition and Consumer Commission says LG Electronics' warranty policy doesn't meet statutory minimums.